On a cold, gray January day, nothing beats curling up with something chocolate. 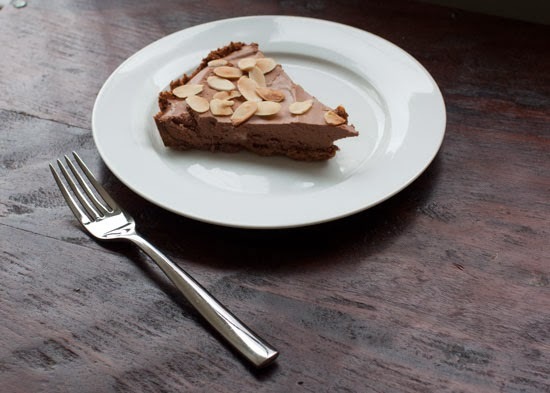 This tart knocks out a handful of cravings in one fell swoop: silky chocolate mousse, crunchy amaretti cookies and toasty almonds. None of that moderation business. Preheat oven to 325 degrees. Crush cookies in a food processor until fine crumbs form. With machine running, slowly add melted butter and process until mixture resembles wet sand. Press crumbs in bottom and up side of a 9-inch fluted tart pan with a removable bottom. Bake until crust is set, 20 minutes. Let cool completely in pan on a wire rack. In a medium saucepan, bring 3/4 cup cream to a simmer. Add amaretto, remove from heat and add chocolate. Whisk to combine, then let cool to room temperature. In a large bowl, whip 1 cup cream with confectioners' sugar until stiff peaks form. Gently fold in chocolate mixture until combined. Pour filling into cooled crust and refrigerate until chilled and completely set, about 2 hours hours or overnight. 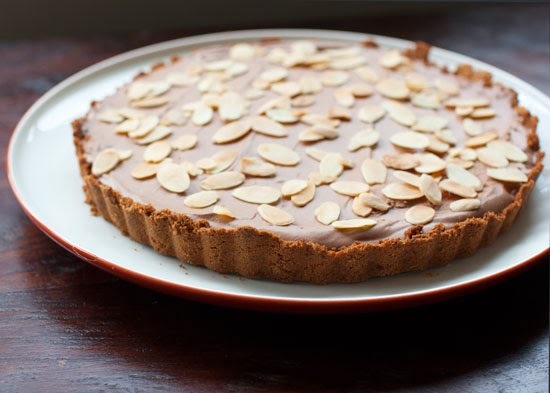 Top tart with toasted almonds before serving. My favorite alcoholic drink is an amaretto sour so I have to try and make this cake!! Oooo it looks so yummy!! Oh my gosh. 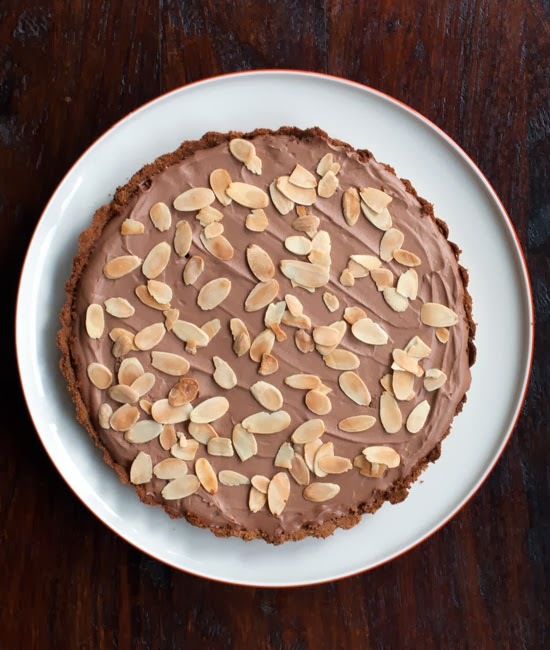 This might be the "perfect" dessert for me! Looks amazing. 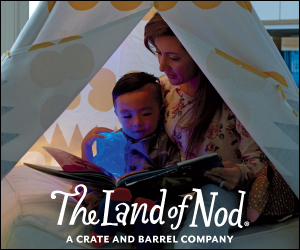 I think I need to give it a try! Thanks Natalie! This made our dinner party !! Everyone absolutely loved it and they wanted the recipe! Hope you will have new blog subscribers!, perfect dessert for a cool winter night inTexas!